All things considered 2018 was a difficult year. It was a year of freak weather and natural disasters. We heard more and more about climate change, plastic pollution and endangered wildlife. As we enter 2019, the leading economies of the world are at loggerheads. The world’s underprivileged are on the move, or so it appears. There is a seemingly endless soap opera playing out, not to mention the one in the UK. It all looks pretty gloomy doesn’t it. In reality, though, some of these stories have been playing out for decades. Plastic pollution did not appear overnight. Neither did wildlife poaching, nor indeed global warming. What is changing is our awareness of these global crises. This is thanks to social media and mainstream journalism. Also changing fast is our technical ability to address them. Some very significant forums headed by some very big names are telling us we are the last generation that can save the world. So, let’s have a look at some of the big stories of 2018 and see how, in the digital world, we may be part of the problem — and hopefully we can be part of the solution. We are all aware of those horrible images where discarded fishing nets and plastic bags have caused the death of sea creatures. We have also seen how estuaries and tracts of ocean are now completely inundated by floating plastic waste. This came to a head in 2018, almost as if it took us all by surprise. More than half of the plastic waste dumped in the world’s oceans comes from 5 nations: China, Thailand, Indonesia, Vietnam and the Philippines. These nations have one thing in common: millions of people living below the poverty line. In Indonesia the army has been deployed to clean up the Citarum River, one of the most polluted rivers in the world. The aim is for the water to be drinkable within 7 years. The problem is, though, that plastic use is on the rise. So how do you stop the plastic dumping in these emerging economies? U.S. manufacturer SC Johnson is looking to use blockchain technology to provide incentives to communities in the third world. The company makes a number of global cleaning products. They are looking to collaborate with Plastic Bank, a leading environmental organisation focused on reducing plastic ocean-based waste. The idea behind the proposal is to reward individuals that deposit plastic waste at one of the regional centres, in the form of cryptocurrency. This acts as a major incentive for those involved as they can use the tokens to buy goods and services. Furthermore, as the project will be supported by blockchain technology, it practically alleviates the threats of loss or theft. This will ensure that each centre remains transparent and accountable. Close to 28 million people live below the poverty line in Indonesia alone. As such the incentive program has the opportunity to benefit a vast group of demographics. If the program is extended to the other 4 countries we will hopefully see a big turnaround in the fight against plastics. The economic crisis that is playing out in Venezuela has been headline news throughout 2018. In the face of a US-led financial embargo Venezuela has launched a cryptocurrency, the Petro. The root causes of the embargo are the economic policies of President Nicolas Maduro and his predecessor Hugo Chavez. These policies, plus human rights abuses, have bought the oil-rich country to its knees. Its fiat currency, the bolivar has struggled with annual hyperinflation currently at ‎over 800,000%. A petroleum-based cryptocurrency would not be remarkable in any other oil-rich country. However, it has been received with skepticism globally as merely a cover-up for Maduro’s failure to recover the national fiat. Maduro announced that the Petro and would be be available on six major crypto exchanges starting Monday, October 1. Also its wallet available on Google Play. As of now, it not available on any of the world’s major crypto exchanges. The Google Play wallet has also since been removed by Google. Supposedly the Petro will be used as the unit of account for local salaries, goods, and services in Venezuela. However, the government is artificially manipulating the price so it does not pass the litmus test for a fully decentralised cryptocurrency. On the positive side, the decision to create the Petro coincided with the end of the government crackdown on Bitcoin mining. This had been in place since March 2016. The uselessness of its fiat currency means that Venezuela is said to have become one of the biggest markets for crypto in the world. This also offers some hope other nations in a similar situation. I’ll be discussing this situation in a future blog. 2018 was the year that the US President started a trade war with China. He claims that China is taking advantage of the US. He is also very worried by China’s Bitcoin dominance. Chinese mining pools control more than 70% of the bitcoin network’s collective processing power (i.e. Hash Rate). Many in the bitcoin and cryptocurrency industry have expressed concern about how much control this gives China over bitcoin. More than half of the world’s bitcoins are mined by one company — the Beijing-based Bitmain Technologies. If China does indeed have the power to destroy Bitcoin then arguably everybody in the Crypto community should be shaking in their decentralised boots. The White House is now interested in adopting Ripple (XRP) to offset China’s bitcoin strength. Ripple does not come without its own critics, though. 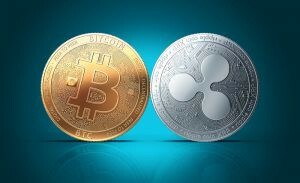 Ripple itself owns 60 percent of the supply of XRP, so its critics claim that the currency is not truly decentralised. Will Ripple Turn Into a Wave? Ripple recently made headlines when former U.S. president Bill Clinton talked up the possibilities of blockchain and cryptocurrencies and Ripple revealed it had signed up three financial services companies to its new XRP-focused product — news of which had sent the ripple price up by over 100%. Earlier in the year global banking giant Santander launched a blockchain-based application for cross-border foreign exchange built by Ripple Labs. They have designed it to speed up and cut the costs of sending money across borders. Many are excited by ripple’s practical use case. They have seen it work with many of the world’s biggest banks and financial service companies. Thus It brings cryptocurrency’s speed and efficiency to the rather clunky legacy financial systems. 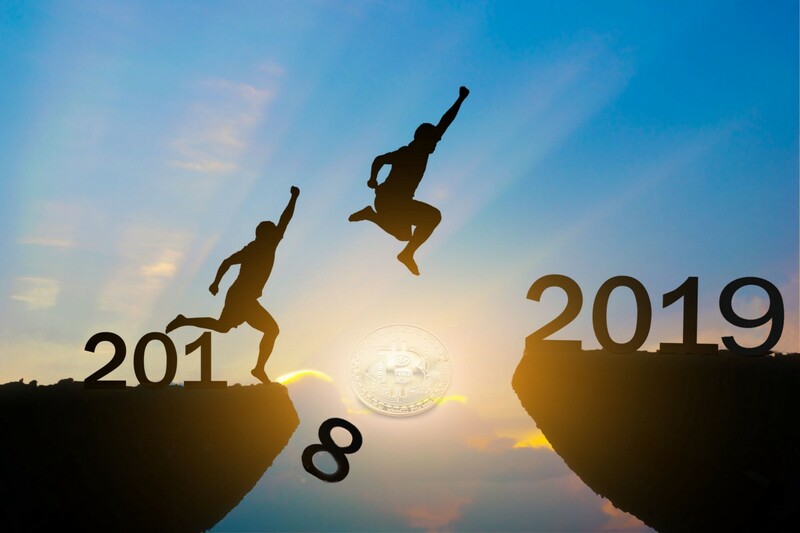 Things move fast in the digital world, and 2019 is going to see a great deal of activity in the digital space. You can look forward to some major initiatives from Causality, including the ramping up of our Block Xplorer product, and Crypto Sentiment Alerts. Join us in our next blog when we’ll review more of 2018’s major news stories. We are on a mission to deliver world leading data management and analytical products across blockchain technologies to enable organisations to react faster.